The level and type of protection you require. There are three main levels of protection levels in most safes, these are; water, fire and burglary protection. The ideal safe must be properly insulated against extreme fire and heat to ensure that internal temperatures of valuables are well-maintained. Some safes are also rated for the duration of fire protection and this can range between 30-60 minutes. Papers and other valuable items must have internal temperatures below 360 °F. In most cases, safes with fire-resistant and burglary-resistant features will normally have water-resistant capabilities. You must ensure that your safe has these three important features before making your choice. There are two may feature to consider when it comes to choosing safes based on their resistance to burglary, these are; the thickness of the steel and the types of locking systems. For the most suitable safe, make sure you choose one with combination locks. Bolts are usually needed to prevent the safes from being forced opened but make sure you choose a safe with a 12 or higher gauge for maximum protection. You should also consider the types of items you plan to store in the safe. Do not be fooled by the portability of a safe, an average adult may find it easier to pick a lighter safe, while a heavier safe may require more than a single individual to lift and transfer. If you want a safe you can move from one place to another then you may want to limit the number of valuables you store in them. You may also want to choose a lighter and more portable safe for emergency evacuation reason. Perhaps the easiest way to choose which type of safe you need is the number of items you want to keep in it. You may want to choose a smaller safe if you are keeping smaller valuable items but make sure you do not compromise the burglary, fire-resistance, and water-resistance features of the safe, for the size. You alone cannot shop well enough to choose the right safe that will meet your needs, but you can rely on the professional expertise of GreenPro Locksmith in making the right, affordable and 100% reliable safe for your home or office. 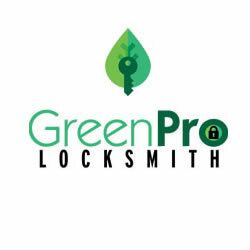 Contact GreenPro Locksmith right away and a locksmith will inspect your home or office before recommending the right safe for you. There will have some time in life when many of us will have locked ourselves out of our vehicle. Although it may be a one-off occurrence for some, others may find it happening all the time. As such, you should use the following tips to ensure that you avoid getting locked out of your vehicle in the future. Do you require broken key extraction? GreenPro Locksmith will help you get the broken key out of lock without stress and also cut a new key that will work smoothly with your lock. 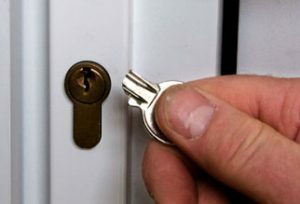 We are available 24/7 for broken key extraction in Atlanta and we also render emergency broken key extraction, at any time of the day. The new generation wireless access control lock brings convenience and flexibility to residential and commercial lock owners. One of the hallmarks of this new generation lock is that it comes with a real-time communication as well as online control to access the lock, hence there is no intruder who can access this lock at your home or business premise without your permission. There are some security tips you must keep in mind in order to keep burglars away from an old home you are moving into. While many old homes were constructed with durable materials and are quite beautiful, there are lots of security lapses that can make them risky to your entire household. You should consider contacting GreenPro Locksmith for necessary security upgrades before you move into an old home.